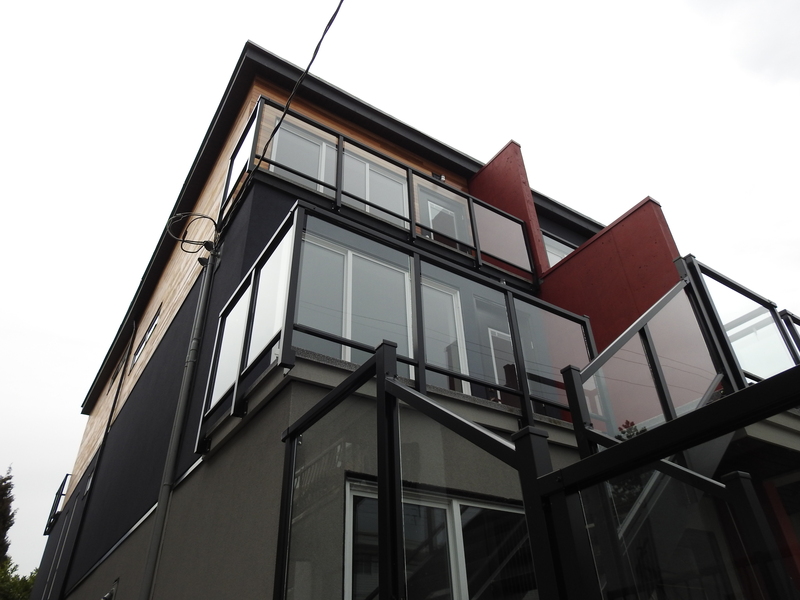 East Broadway Duplex - Vancouver | Billard Architecture Inc.
Duplex situated on former single family lot. 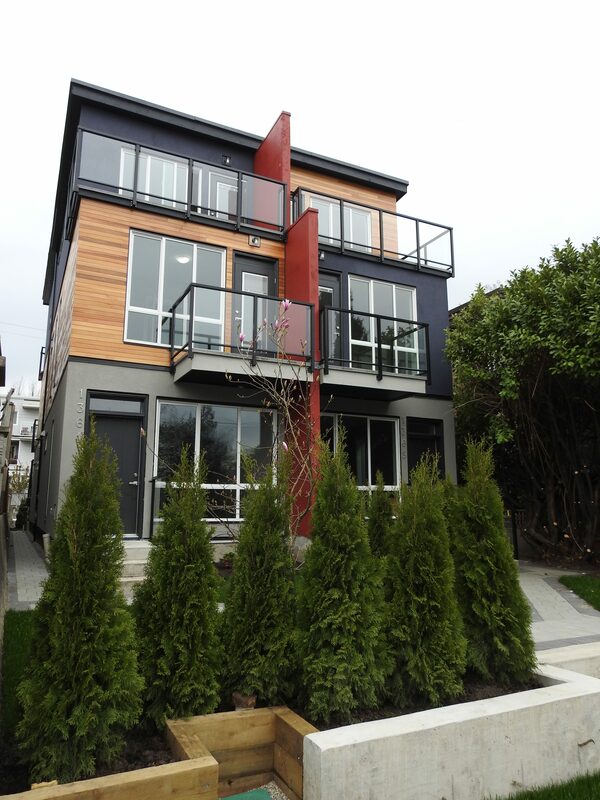 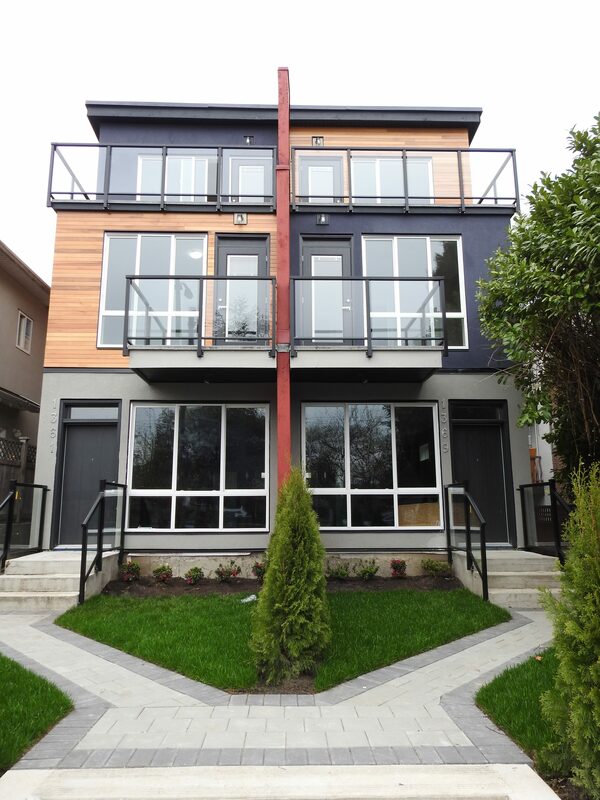 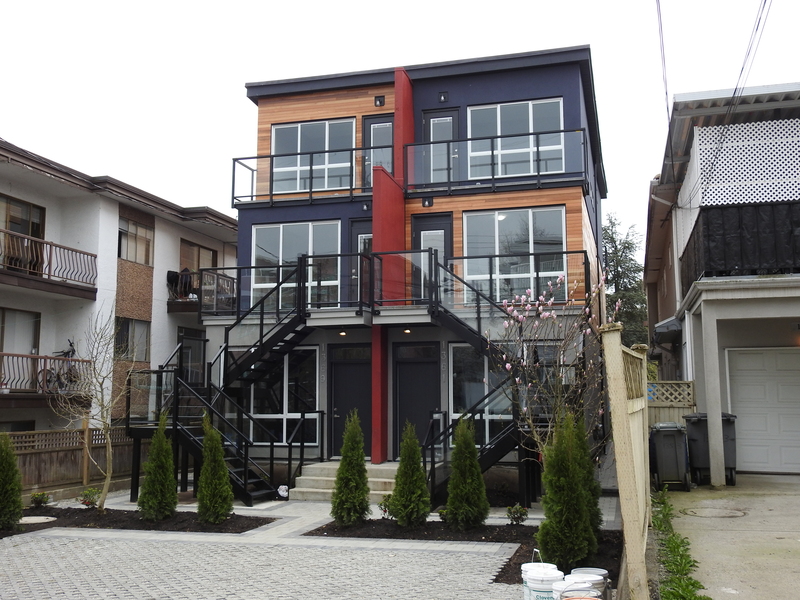 Located on a very busy street in Vancouver within two blocks of the Commercial Drive Skytrain station, this duplex doesn’t hide from the traffic. 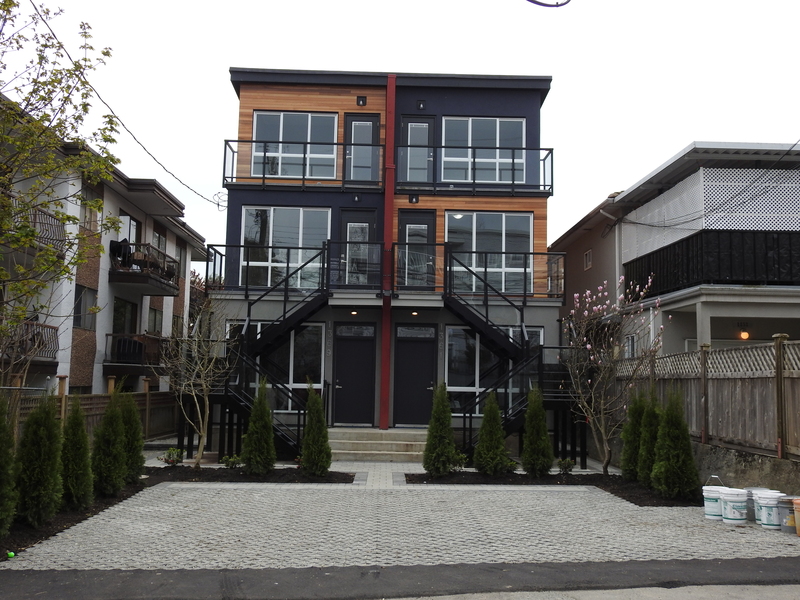 The design engages the alley making the back door, parking and landscape active living space.